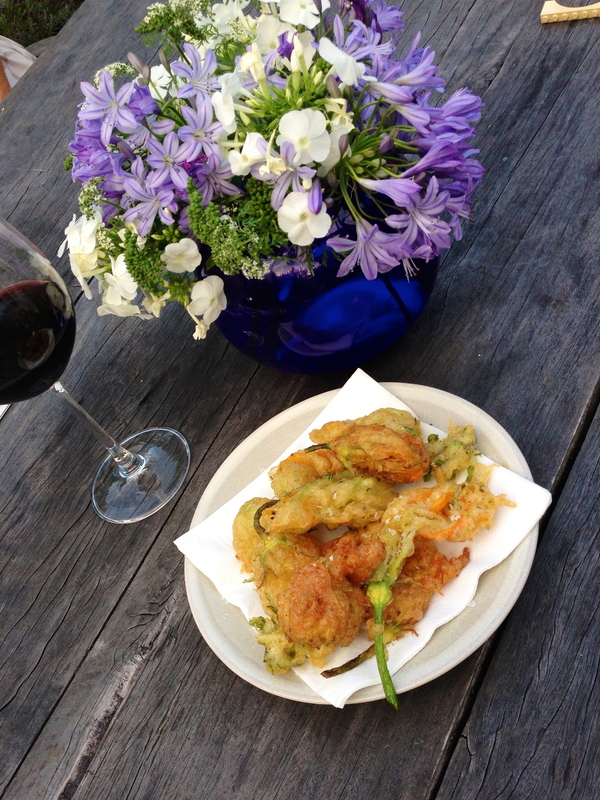 Crispy courgette flowers aka Zucchini Fritti ! Having had an abundance of courgettes and flowers in the garden this year I have made and endless supply of Zucchini fritti and even Tasha has mastered the art of cooking them -in fact word has it she can makes better ones than me! The batter is really simple and can be used to fry courgettes cut into match sticks or rounds, aubergines slices, pepper strips and best of all the flowers of courgettes. 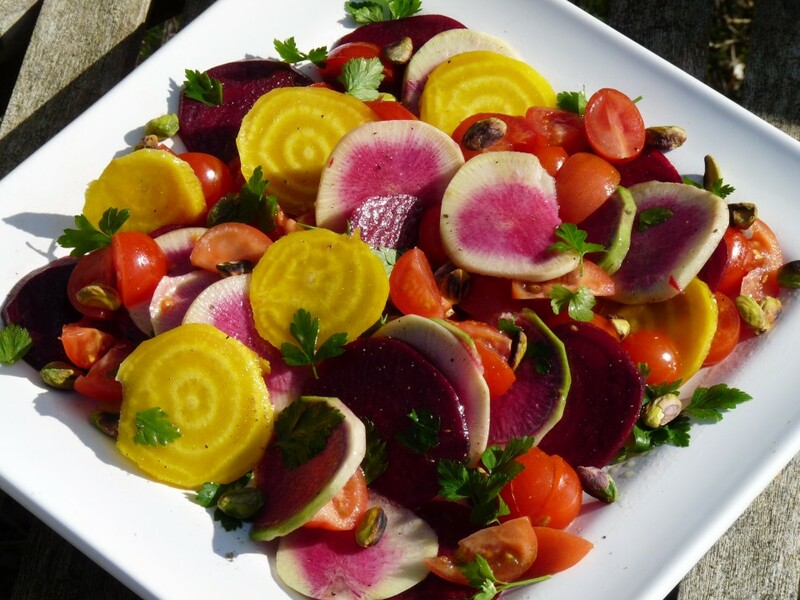 These are best made at the last minute and I often serve them with drinks in stead of a starter. Mix all the dry ingredients (except the herbs)together then add the water a little at a time until it has the consistency of single cream. Pour some sunflower or rapeseed oil into a small saucepan until it is a third full. Heat the oil for a minute or two until it just begins to smoke . Test the temperature by dropping a few drops of the batter in the oil it should sizzle immediately and the batter should start to crispen very quickly. Remove it from the pan using a slotted spoon. Dip three to four flowers in the batter and gently drop them into the oil one by one do not add two many flowers at the same time otherwise the temperature of the oil will drop and the flowers will become soggy.Cook the flowers for about 30-40 seconds till they just start to colour and carefully turn them over and cook for another 30 seconds (they should be a light golden colour)Then using a slotted spoon remove them from the pan and drain on kitchen paper. Cook the remaining flowers in small batches. Sprinkle with sea salt and serve immediately.